A low carb guest post from Maya of Wholesome Yum. 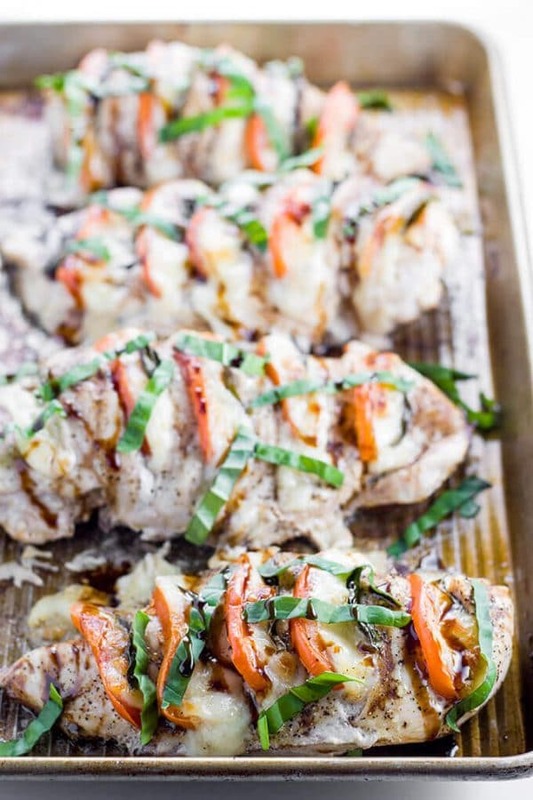 This Caprese Hasselback Chicken recipe makes a quick and easy weeknight dinner. It’s perfect for any low carb keto diet. I’ve been a fan of Low Carb Maven for a long time. When Kim asked me to do a guest post, I was excited to oblige! I’ve been wanting to share my Caprese hasselback chicken recipe for quite some time and decided it would be a perfect fit. With January in full swing, I think everyone is looking for healthy meals. Whether you started a new diet this month or just feel the need to start fresh after holiday treats, there’s no shortage of demand for an easy, low carb dinner. Actually, I’m always on the lookout for quick and easy weeknight dinners, no matter the time of year. Making them low carb and gluten-free is important to me, but convenience is a big deal as well. Can you relate? Aside from these factors, I strive to prepare dishes that the entire family will love. I’m a firm believer that kids should be eating the same foods as we are at the table. If they are used to doing this, the result is healthier kids and fewer problems. My little one is not quite two years old, but so far this has worked out. I’m hopeful that this method will help me avoid making separate meals or protests for mac and cheese while everyone else eats something different. With these criteria in mind, chicken is on regular rotation at our house. I make baked coconut chicken tenders or easy chicken salad with herbs most frequently – the former for dinner and the latter for lunch. Serving real food means everyone gets to enjoy it, regardless of age or whether they are eating low carb. 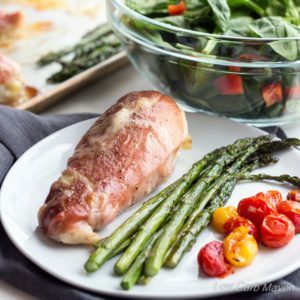 Caprese Hasselback Chicken is an easy low carb dinner and perfect for any keto diet. In recent months, I keep coming back to this Caprese hasselback chicken. Not only is it healthy and low carb, but it tends to satisfy kids and non-low-carbers alike. Best of all, with only a few ingredients and quick prep, it’s a winner for busy weeknights. 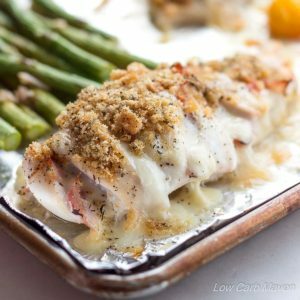 Looking for another recipe for hasselback chicken? 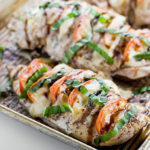 Try Kim’s ham & smoked mozzarella hasselback chicken. I can’t wait to try it! Maya is the author behind Wholesome Yum, a food blog focused on natural, low carb, and gluten-free recipes with 10 ingredients or less. Follow her on Pinterest, Facebook, Twitter, and Instagram. 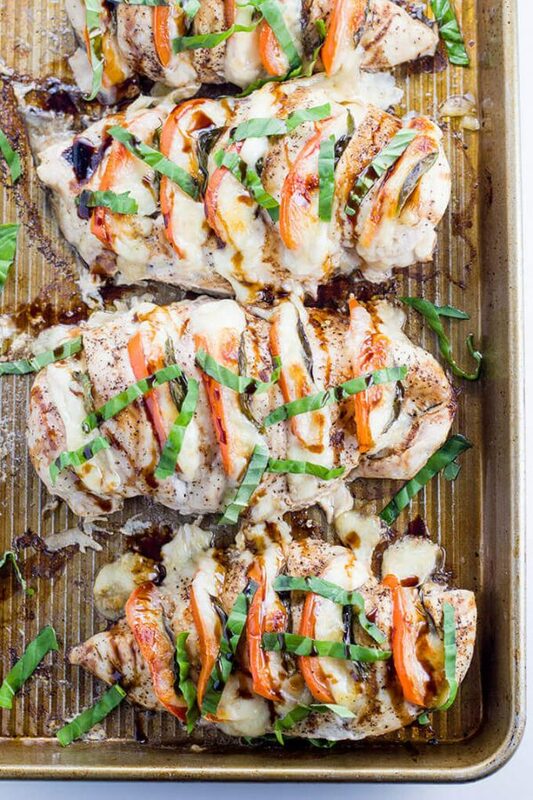 This delicious Caprese Hasselback Chicken is 3 net carbs per serving! Made with fresh mozzarella cheese, fresh basil, and balsamic vinegar, this tasty Caprese Hasselback Chicken comes together in minutes for a quick weeknight meal. Preheat the oven to 400 degrees F. Line a baking sheet with parchment paper or foil. Make 5-6 deep slits in each chicken breast, being careful not to cut all the way through. Season both sides with sea salt and black pepper. Place onto the lined baking sheet. Slice the tomatoes and mozzarella very thinly, about 1/8" to 1/4" thick, and cut the pieces to a width slightly wider than the thickness of your chicken breast. Stuff a piece of mozzarella, a tomato slice, and a whole basil leaf into each slit in the chicken. Drizzle olive oil and balsamic vinegar over the chicken. Bake for 20-25 minutes, until cooked through (heated to 160 degrees F with a meat thermometer). When the chicken is ready, sprinkle remaining fresh basil ribbons on top right before serving. If desired, drizzle with additional balsamic vinegar. Where did you get your nutritional info? When I enter it into MyFitnessPal it came up very different with the nutritional info. I made this for approx 56 people at a church event. It was a huge hit! Going to try the caprese chicken tonight. It sounds delicious. My husband and I love caprese salad so when I saw this recipe I was very excited. It did not disappoint! The hubs and I both loved it and it’s now in our “food favorites ” rotation. Made this last night. It was marvelous! Going to make it as an entree at our church Valentine’s dinner! Thank you for having me guest post! I’m happy to be able to help and to contribute to such a wonderful blog. I’m glad to hear everything went okay with your son. Happy to read that your mom and son are doing better! This chicken looks so gorgeous! 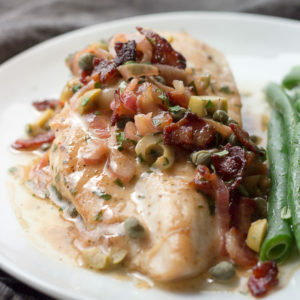 I find that chicken breast, unless it’s very thinly cut, can be a bit bland sometimes, but this way you just cannot go wrong. A crowd pleaser for sure. Lots of my favorite things in one dish – thanks Maya and Kim! Did you find a particular kind of tomato that you liked for this? I don’t see tomatoes in the ingrdients. This looks delicious. 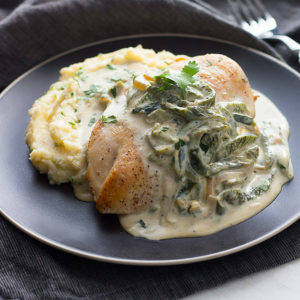 I’m really looking forward to making this tonight! I’ll use the tomatoes I have on hand until I hear otherwise! This looks amazing! I agree with you that our children should eat what we do at the table. It is less stress on mom (only cooking one meal), and our kids benefit greatly! This looks like something my kids would love! This recipe looks wonderful, but I couldn’t find the required amount of tomato in the ingredients list. Was it accidentally omitted?